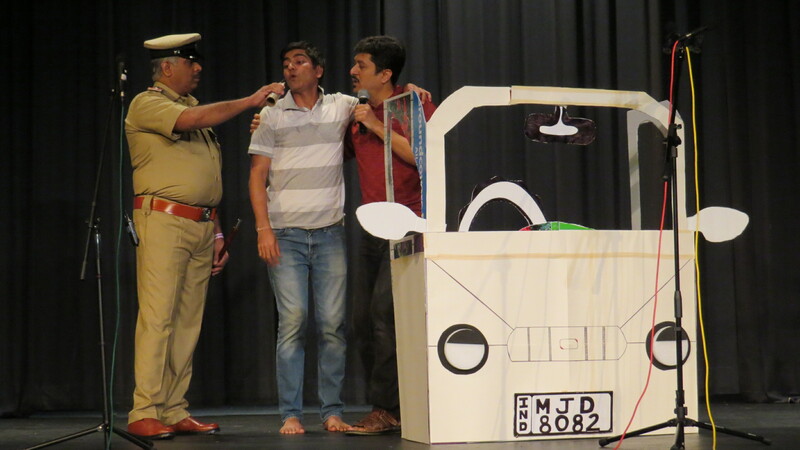 Atlanta, GA, May 7, 2018: Atlanta Kannada theater enthusiasts were treated to three comedy plays during NKK Drama Day on April 7 at Berkmar High School presented by the NKK Drama club, a newly launched wing of Nrupathunga Kannada Koota (NKK). The club was formed to encourage the art and motivate future generations. 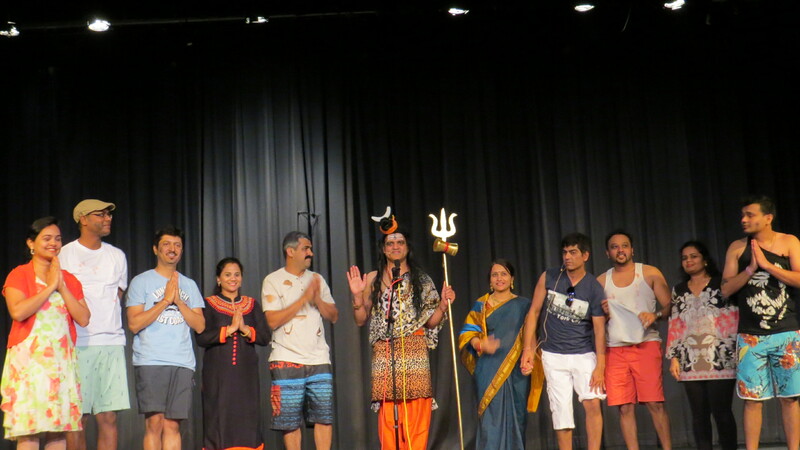 Three performances in the comedy genre were presented after months of preparation and fine attention to detail, with over 25 local participants in tow. “Having the local talents enact on stage was challenging and fun at the same time. In the end, we were glad we had good team performance,” said Bharat Tejaswi, NKK Drama club member who fueled the idea of the club. Tejaswi has a background in theater and was eager to engage the idea into action. His collaboration with NKK team members who also shared his interests led to the scripting and production of the plays. His directorial Samsaarave Maaye, a comic take on the necessity of women in the world involved couple friends from different parts of Karnataka. A husband’s wish to Lord Shiva to eradicate women comes true but the husband and his friends’ joys are short-lived as they start to realize the necessity of their wives. “Kannada Koota has been in existence over four decades and there was not much focus on theater or play. 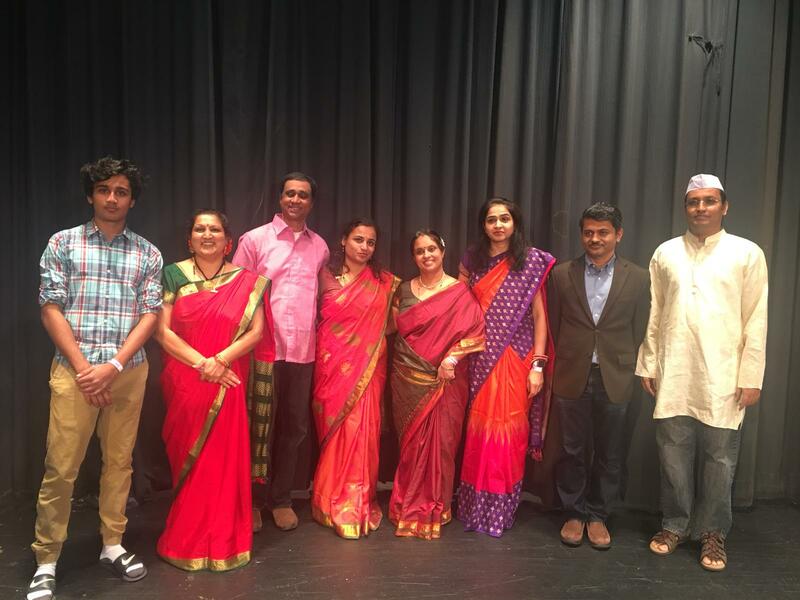 The goal of this dedicated drama day was to revive this creative art form within our Atlanta Kannada community,” said drama club member Madhu Balakrishna. A powerful media to connect to all ages, as he mentioned, kids and adults indulged and enjoyed their participation. His wife Mangala Udupa, another drama club member and director of two other plays, shared his enthusiasm. 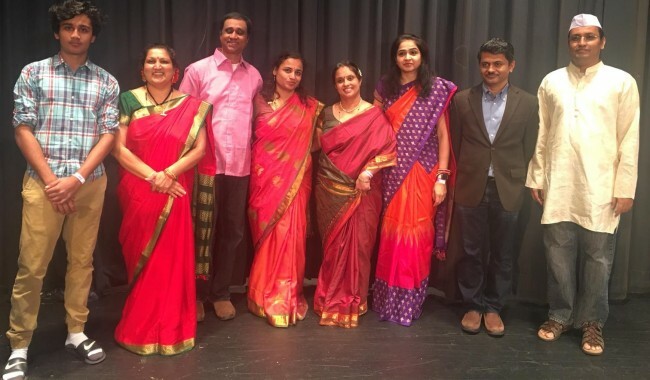 “Pradeep, Madhu and I always talked about bringing local Kannada people together and starting a drama club here inAtlanta. When Bharath as a newcomer toAtlantashowed similar interest, we gathered together and came up with the idea of a script and started working on it,” she said. 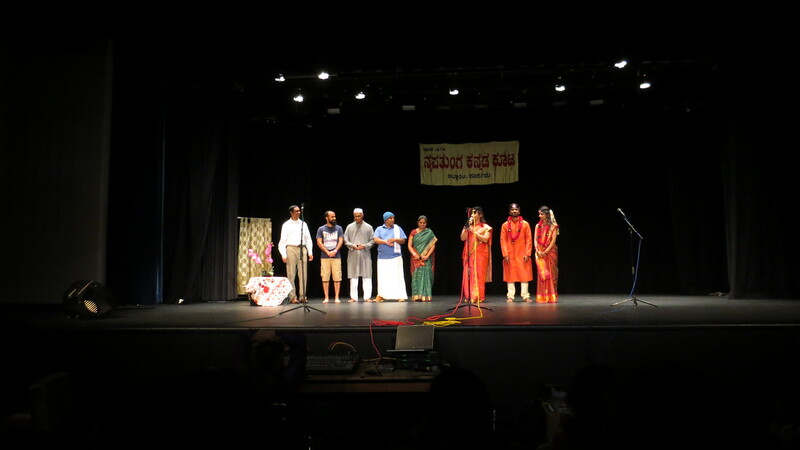 Her play Cinema Samsaara featured a couple who elope to get married but manage to convince their parents by speaking in a language that the bride’s family lives by – the Kannada cinema language. The dialogues featured references to popular Kannada movie stars and movie names. The other play America Aliya had the ritual of potential groom meeting the bride and her family, and the special interest it invokes in neighbors when the he happens to be a resident of America. “Our main intention of Drama Day was to kindle the drama and dramatics interest in our Kannada community, and thereby have more and more creative dramas frequently, ” said Pradeep Vittalamurthy, NKK Chairman and drama club member. “Drama is much more than acting and involves different stage techniques,” he opined. Established in 1973, NKK has been serving to enrich and encourage Kannada language and culture. NKK has many exciting events including a grand 45th Anniversary celebration coming up in September 2018, family camping, picnic vanabhojana, NKK Olympics and Deepavali/Rajyothsava. You may check https://www.atlantakannada.org/ for more details.